Choose the best storage for your data from HDFS, NoSQL stores and relational databases, process and join across data sources transparently. 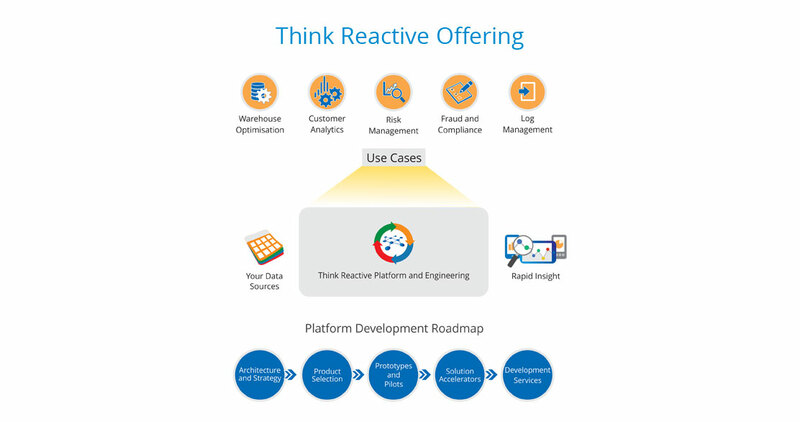 Think Reactive provides a responsive, resilient, elastic, ready-to-go data analytics platform. The team has a broad base of solution design and implementation experience. This includes database design, reactive, scalable & distributed applications, Big Data stack, in-memory data grids, caching and grid computing solutions, web development and middleware. 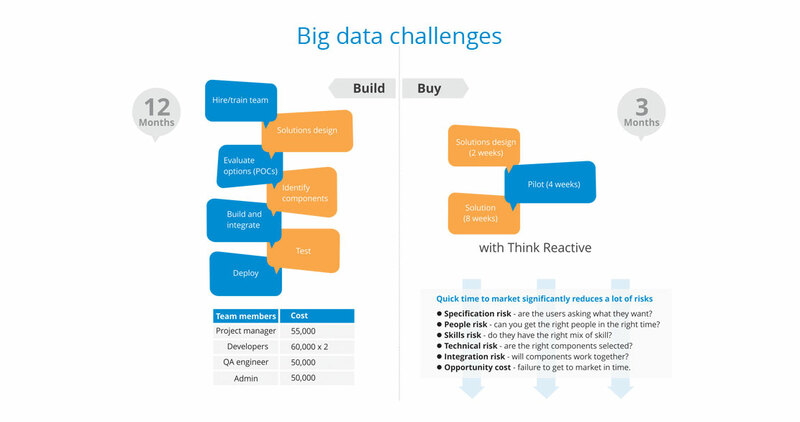 Open-source enthusiasts with hands-on experience in solving real “Big Data” challenges. 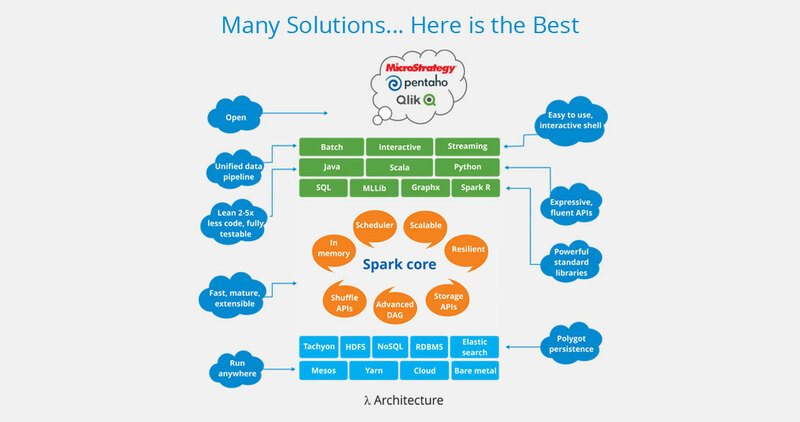 We are early adopters of Spark and Hadoop. We have 3 years of expertise in Scala, 15+ years in JVM, functional, actor based programming and the reactive paradigm. 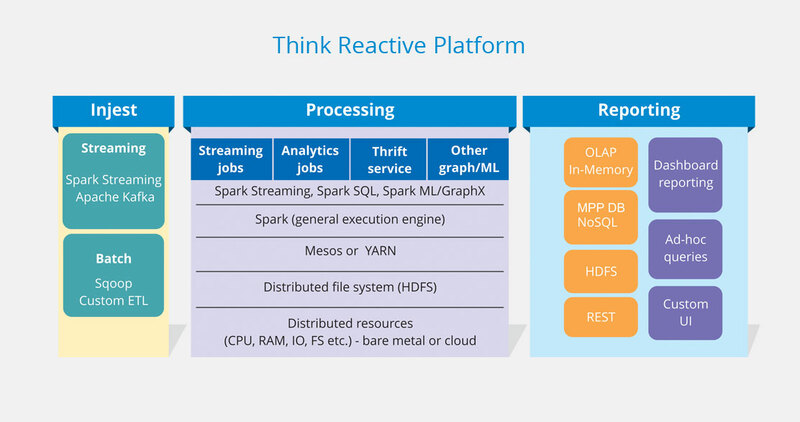 We have built and patched Hadoop, Hive and Spark. 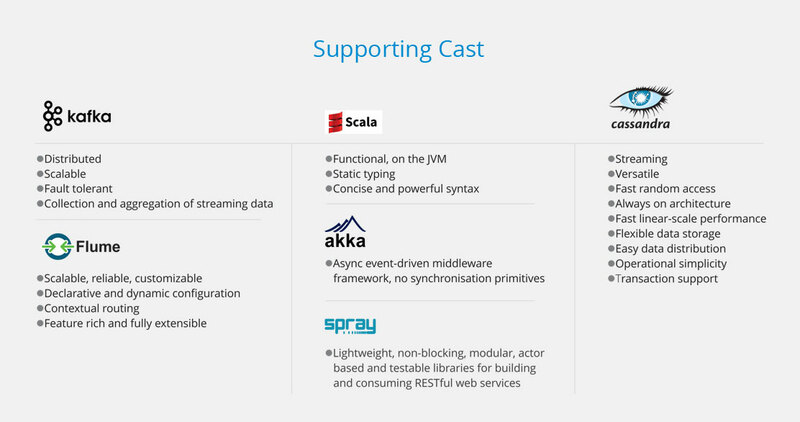 Experts in Flume, Sqoop, Spark SQL, Spark Streaming, Docker, Mesos and cloud deployments. We have a proven track record of high-quality delivery at Deutsche Bank, Bank of America, Dresdner KB, IG Index and Aleri. Active in meetups, forums and contributors to several open source projects. We are market risk subject matter experts. Integrated portfolio stress testing platform handling injest, calculation, storage, reporting, adhoc query and analysis. Self service platform. No IT involvement to define new scenarios, change shocking rules, intensity levels, new reports, adhoc analysis. Hive UDFs provide a DSL for users. Platform used for multiple different stress tests, CCAR, Equity, EBA, etc. 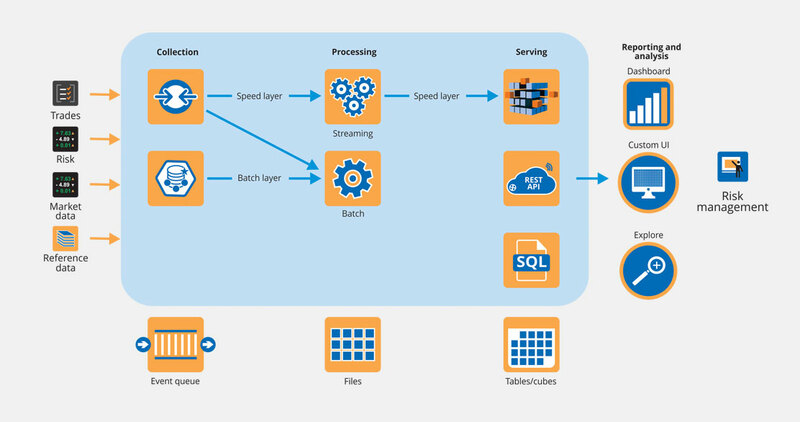 Complex downstream processing requirements – enrichments, vectorisation, etc.